Magic the gathering arena. I don't play pc right now so can't use. Will drop a black ops 4 beta code next. Hope someone can still use. Please post when someone uses it so others aren't wasting their time. A script is hopefully less likely to grab this so took screen caps on my phone of the email. Edit: it cut off the address. 1) Go to the Magic The Gathering Arena page here: https://magic.wizards.com/en/mtgarena and click the Download Now button. Says you can choose platform. I thought I'd get to play, otherwise would have offered it sooner. I waited on a friend on CAG to get back to me to see if he wanted it but he never responded, so i hope someone gets use out it. Got this, thanks. Here's my extras. My last beta code if someone still needs one. Code expires on December 31st, 2018. Can you tell me how you got into this promotion to begin with? 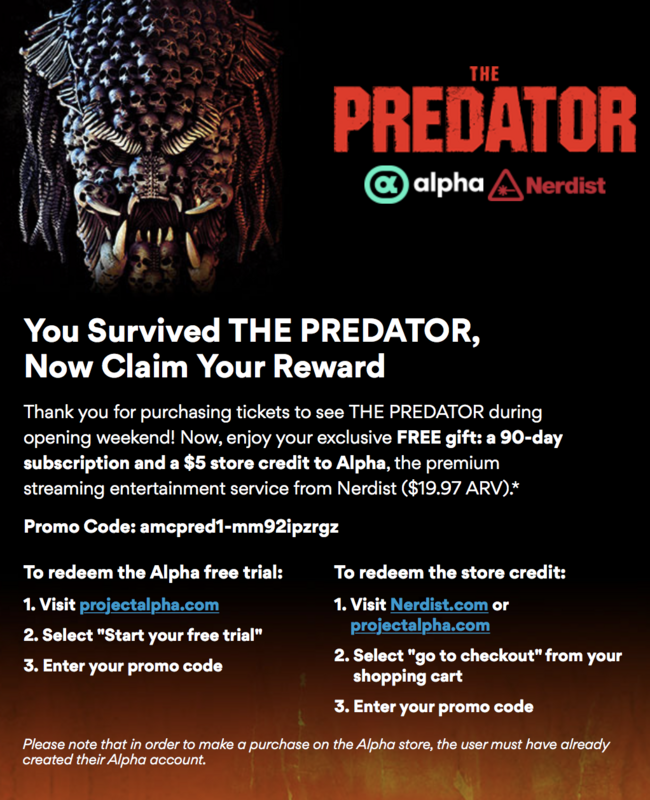 I watched Predator opening weekend last week so I am wondering if I can get in on this promotion somehow? How did you initially sign up for this promo? I have records of my ticket purchase through Atom Tickets. I believe you had to buy your tickets direct through AMC’s site/app in order to get this. Thanks. That explains it now. Thanks got the Nike gift card. Thank you, i used this code. FIFA World Cup™ Sweepstakes. Follow the instructions below to redeem your discount. Code expires December 31, 2018.